Six members of the Science Department have been working hard to develop their own specific critical thinking toolkit. 1. Six members of staff in science volunteered to take part in the CT project. 2. An initial meeting was held to discuss critical thinking in science, this was supported by the L&T team. 3. 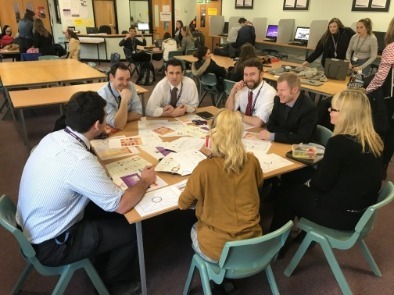 The six members of staff 'paired up' to take part in a coaching task which involved trying and testing different CT strategies from the whole-school toolkit. This was supported by the coaching team. 4. A final meeting was held in order to create a collaborative toolkit with re-usable resources focused on developing and extending scientific knowledge. Many of the strategies specifically focus on skills of A02 (application) and A03 (Evaluation) in order to help prepare students to think critically in their GCSE examinations. 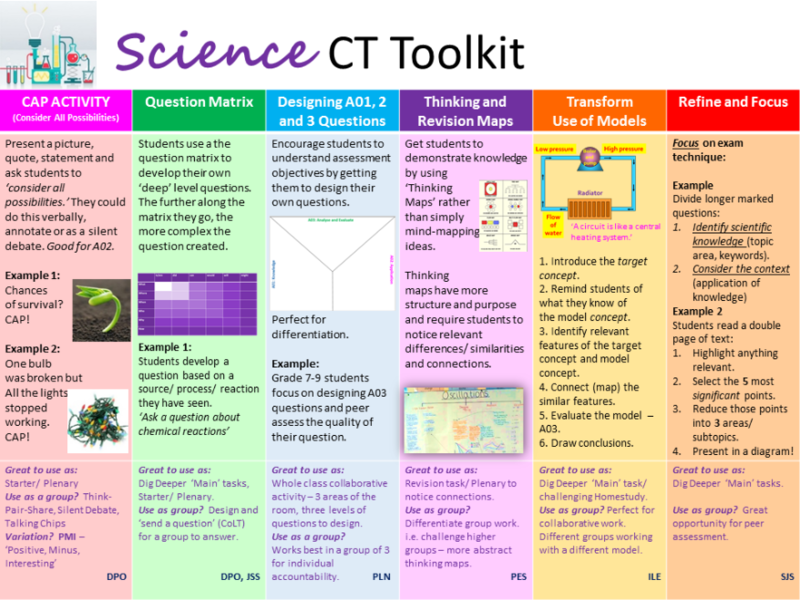 All members of the Science Department will now receive a CT toolkit and pack of resources to use in lessons.